Get competitive quotes on outdoor advertising in Edmonton! Founded in 1795, Edmonton serves as a fantastic location for your next outdoor advertising campaign. Located on the North Saskatchewan River, the city offers great opportunities to advertise to its 1.3 million residents near Rogers Place and West Edmonton Mall. Find ad space in “Canada’s Festival City” by the popular Commonwealth Stadium Edmonton to attract hockey fans, and Edmonton Valley Zoo to target families. 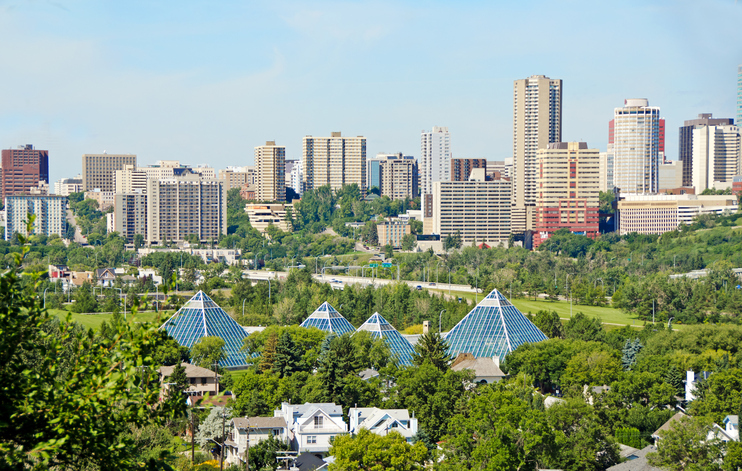 Don’t forget to take advantage of opportunities close to the Art Gallery of Alberta and Muttart Conservatory to appeal to locals and tourists alike. No matter your aim, BillboardsIn will find the best transit, billboard and bus advertising opportunities to strategically build a successful campaign. Click and ad format below to get started. You can also begin by browsing BillboardsIn’s massive database of OOH options to kick off your campaign in Edmonton.